I have created this page to center all info and instructions for MAP. What is MAP? It means Modular All-terrain Platform. The instructions and the part list of all chassis include the steps to build all different wheelbases and fake engine configurations. Remember, you need to buy separately the chassis and the bodywork you want. So you can combine them as you want!! Also if want many bodyworks you only need one single chassis, and you can use it in all bodyworks. 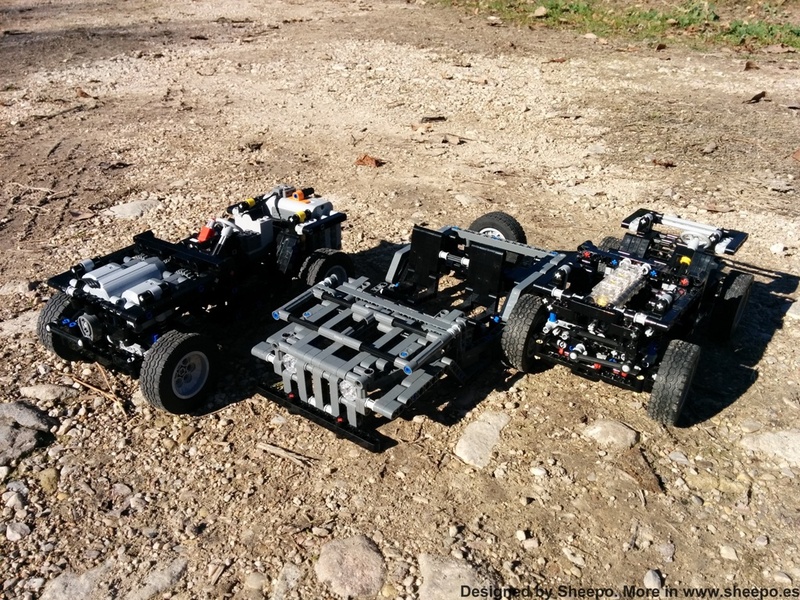 - There is any Lego Technic set which I can buy to reduce the parts cost? -> No. i like the BMW i8, but How can I buy parts for this product? Please read a litle bit higher. hi i like what you do. Is it possible to get land rover series 3 in blue? Or are there just ony gray options? I only have instructions in grey, but maybe you can change the parts for blue color. I can't guarantee you all parts exist in blue. awesome, have you looked at doing landrover series one body work 3 door and 5 door versions ? Hola! Yo quiero comprar el Defender 110, gustaría saber que diferencia hay entre el MAP RC (el chasis y el corpo) y modelo completo? Y porque tienen precios distintos? Hello, what is the rario of the platform with a 110 Defender body?